China Galland, M.A., is the prize-winning author of several non-fiction works including Love Cemetery, Unburying the Secret History of Slaves(HarperOne), Longing for Darkness, Tara and the Black Madonna(Penguin). 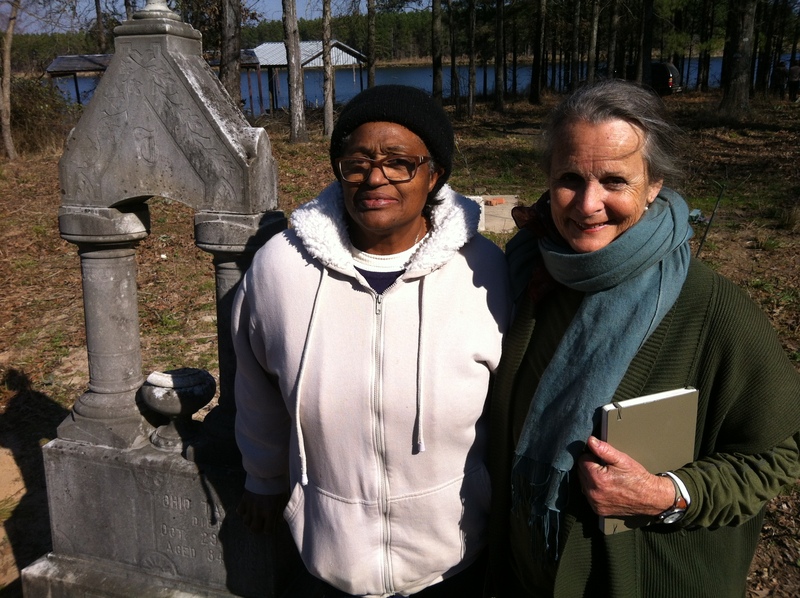 She’s completing a documentary film, Resurrecting Love, an East Texas African American community’s struggle to reclaim Love Cemetery, the historic burial ground they own. Galland was awarded a Hedgebrook Women Writer’s Residency by the Hedgebrook Institute on Whidbey Island, WA. She was given the national “Courage of Conscience Award” by the Peace Abbey of Sherburne, MA, in a ceremony at the Harvard Foundation. She presented video clips from her documentary, Resurrecting Love. for the Harvard Foundation’s annual Writers and Film series. A former river guide, Galland co-founded of “Women in the Wilderness,” a non-profit organization dedicated women’s leadership, as well as wrote the book, Women in the Wilderness. Galland is married to the playwright, performer, and co-founder of the former Traveling Jewish Theater, Corey Fischer. She is also a grandmother.